Limerick are All-Ireland champions. Against a Galway team unbeaten in two years of Championship hurling, it was John Kiely's side who looked like veterans on the big stage as they secured a deserved victory. A key member of Limerick's backroom team this year has been Caroline Currid. 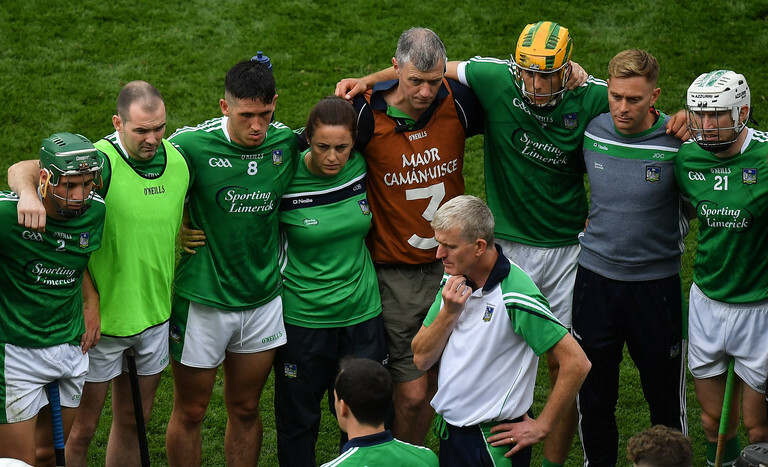 Limerick captain Declan Hannon referenced their sports performance psychologist by name during his victory speech: 'She has just been phenomenal with us for the last two years. She has always been there for us, always there to keep us up and pick us up when we are down. She's after inheriting 36 new babies!" Former Tipperary manager Liam Sheedy worked with Currid during his successful year and told RTE Sport she deserves immense credit for her influence. She deserves massive credit, that is four times now! Tyrone, Dublin, ourselves and Limerick. I do think the Limerick teams over the years didn't have the inner belief but they went behind to Kilkenny, went behind to Cork. Currid came to fame for her work with Paul O'Connell and numerous players have referenced her influence this year. Whether it be players, management or the fans, Limerick were primed for victory today and full value for their success.